Temperature-dependent photodegradation during UV-resonance Raman spectroscopy was investigated. Photodegradation was quantitatively probed by monitoring the temporal evolution of UV-resonance Raman spectra obtained from bacteriochlorophyll (BChl) showing, resonance effect at a 355-nm excitation wavelength. At 80 K, the molecular photodecomposition rate was 5-times lower than that at room temperature. 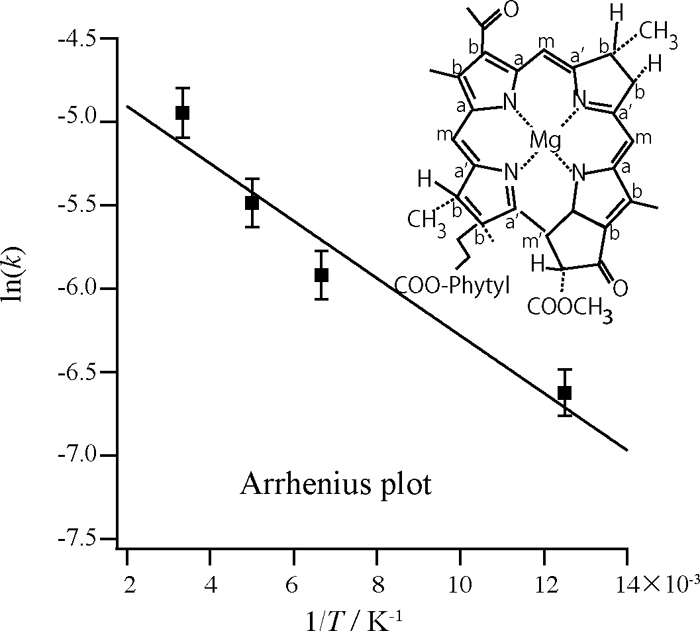 The decomposition rates of BChl were analyzed by the Arrhenius formula, indicating that the mechanism of photodegradation　includes a thermal process having an activation energy of 1.4 kJ/mol.